Leading peatland conservation group set to highlight the decline of endangered Curlew breeding on Irish bogs at Kildare event this weekend. While highlighting the plight of the Curlew on Irish bogs, the event will also celebrate the recent return of some of the species to breed on Lodge Bog, Co. Kildare. The event will include a Curlew talk and a guided walk to Lodge Bog to observe Curlew territory, look for the birds and listen for their iconic call. 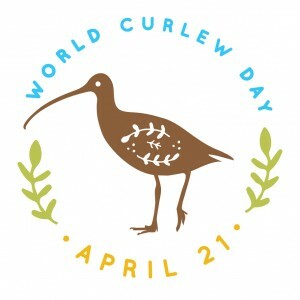 During the World Curlew Day event IPCC staff will discuss the threats to the Curlew in Kildare and the conservation work that is being undertaken to give the Curlew the best chance of survival in Lullymore. Three other species are on the IUCN Red-list of Threatened Species, including the Eurasian Curlew which breeds here in Ireland. Predation by foxes and crows, who thrive in these modified and fragmented landscapes, make it almost impossible for Curlew to rear young chicks. The IPCC’s work to conserve Curlew on Lodge Bog is supported by Kildare Birdwatch and two local farmers. The work is also part-funded by the Department of Culture, Heritage and the Gaeltacht and IPCC’s friends of the bogs. For more information contact Katie Geraghty at bogs@ipcc.ie or call 045 860133. “All the staff and volunteers at the IPCC look forward to the return of the Curlew to Lodge Bog each year. There is also a buzz of excitement within the local community as residents hear the first calls of the Curlew. “We are privileged to have them in our locality and it is important that we all work together to help them breed successfully so that we can enjoy their company for many more years. Join IPCC on Saturday 21st of April from 2-4pm at the Bog of Allen Nature Centre and discover how you can get involved and help save these iconic waders from extinction in Ireland. The event is family friendly and admission is free. The Eskimo and Slender-Billed species are believed to now be extinct. O’Donoghue, B.G., (2017). Curlew Conservation Programme Annual Report 2017. National Parks & Wildlife Service, Killarney. O’Donoghue, B.G., Donaghy, A., Moran, P. (In prep). The First National Survey of Breeding Curlew in Ireland. This entry was posted in News and tagged Bog of Allen, Bogs, Conservation, curlew, family event, IPCC, Lullymore, open day, World Curlew Day. Bookmark the permalink.